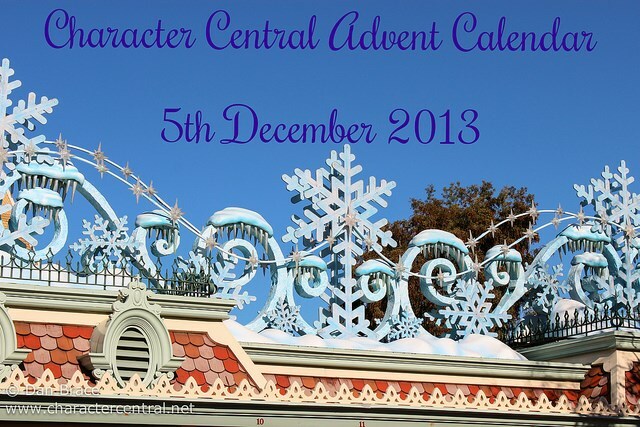 Today is the 5th December, which means it is time to open the next door of our Character Central advent calendar! Click to find out who is behind today's door! 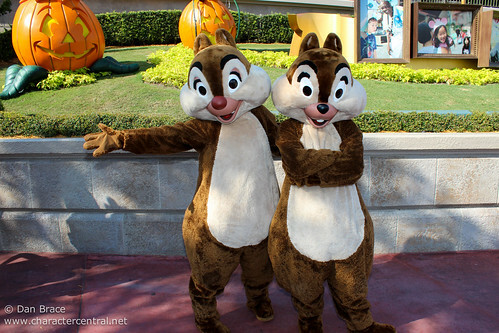 On this day in 1943 the loveable but ever mischievous chipmunks, Chip and Dale, made their debut in 'Private Pluto'. 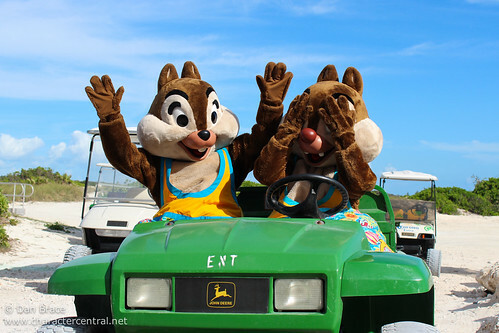 Always getting into some sort of trouble, Chip and Dale like to harass the likes of poor Donald Duck, and Pluto. 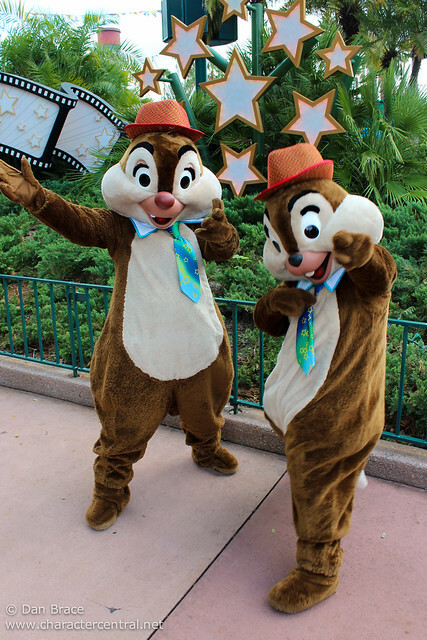 Despite their naughty nature, they are fun loving, adventurous (Rescue Rangers!) and simply adorable. Of course, no Character Central tribute would be complete without our usual photo cavalcade! 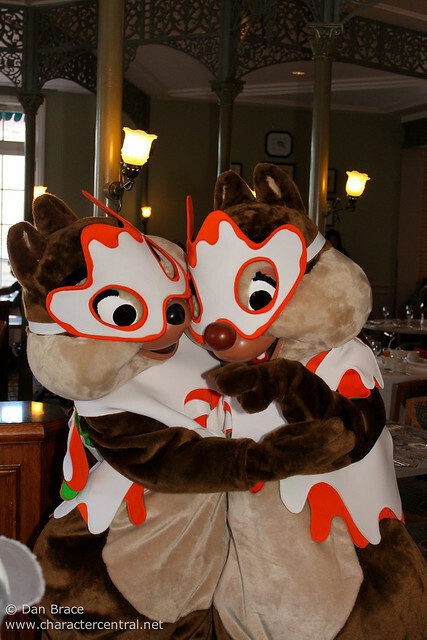 So, here are some of my favourite pictures from our adventures with Chip and Dale over the years. 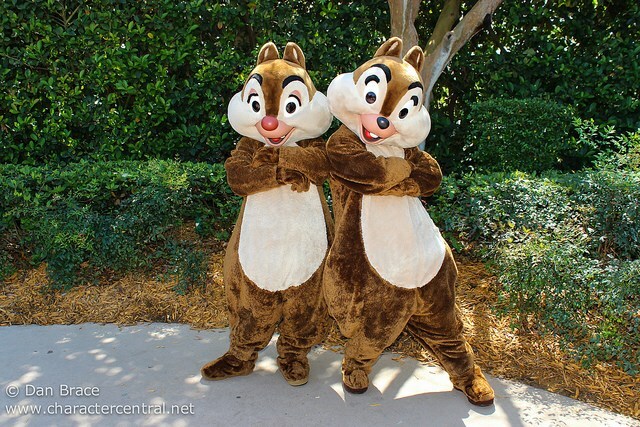 Happy 70th Birthday Chip and Dale! 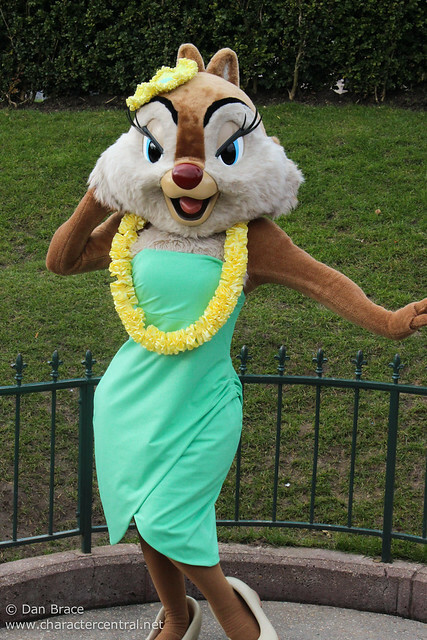 Today is the 61st Birthday of the ever adorable and sassy Clarice. 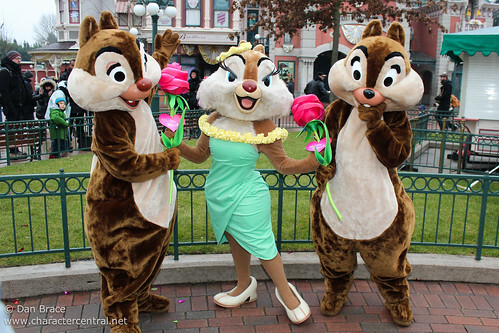 Clarice is the object of Chip and Dale's desire - with the exception of acorns! She starred in just one short - "Two Chips and a Miss" (1952). 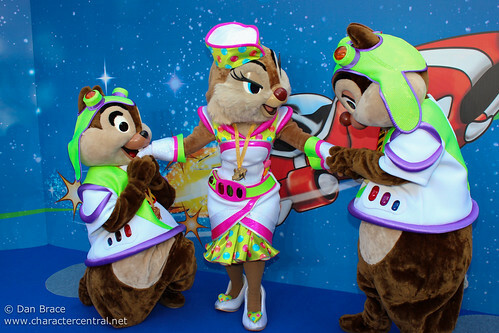 Clarice works at the Acorn nightclub, and very quickly causes for poor Chip and Dale to fall out over her - the only time Chip and Dale have ever worked against each other! 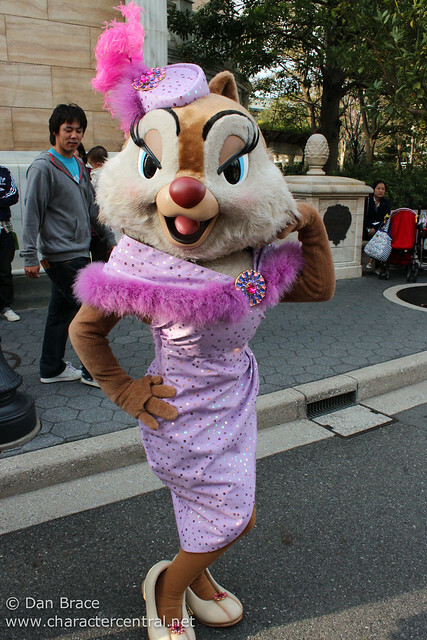 Somewhat an icon because of her brief starring role, Clarice is glamourous and talented, and keeps those troublesome chipmunks on their toes! In our usual style, here's a photo cavalcade of our own adventures with Clarice over the years. Today is the 22nd of December, so it is time to open the next door of our special Character Central Advent Calendar! Today is the 4th of December, which means it is time to open the fourth door of our Character Central Advent Calendar! I was going through some old emails and I noticed one I had sent to myself before the California trip regarding some news... But of course I had forgot to report it! LOL! The Disney Parks Blog finally announced when the New Fantasyland would fully open (minus the Fairytale Hall and Mine Coaster - they are both coming a lot later) on December 6th this year! 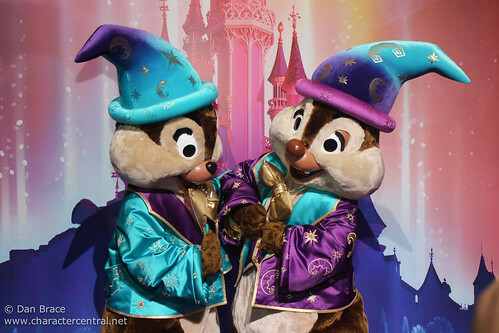 This means that the new character features should be open by then too, including the new Enchanted Tales with Belle (replacement for Storytime with Belle), Pete's Silly Side Show (which I reported on earlier this week, and includes some cool new outfits for the VIPs! ), Ariel's Grotto (which will see the return of Ariel in her true Mermaid form!) and also some new character appearances! 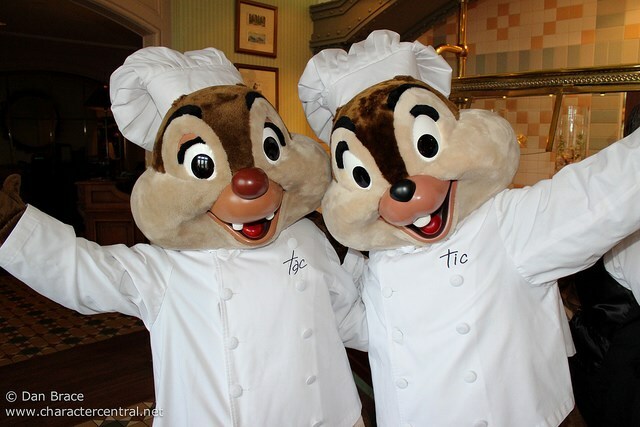 We have heard that Gaston and Beast will start greeting guests in the New Fantasyland, as of course it will be heavily themed towards their home village. We have also heard "someone" will move from EPCOT to Magic Kingdom. My theory is that this is Beast. He is a difficult character to cast, and thus having him two places would be awkward. So, although I could be wrong, the EPCOT character that is moving, in my opinion, will probably be Beast. 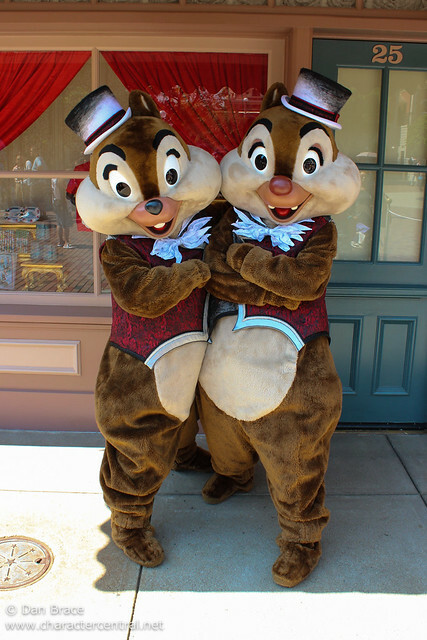 On top of that, because of the fact Donald and Goofy will now appear in the new Circus area in new outfits, they will no longer both meet in Frontierland. 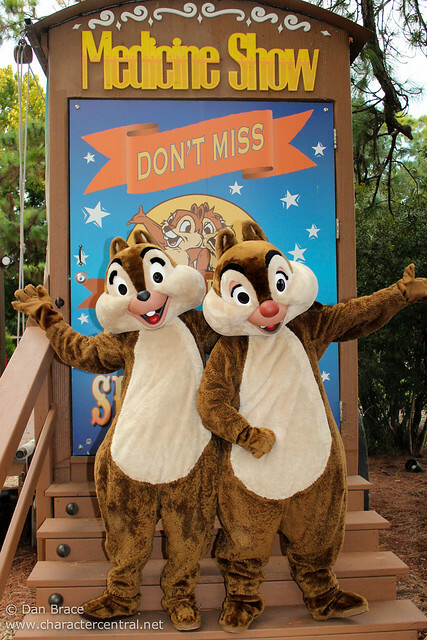 I have heard that Chip and Dale will be leaving Tomorrowland and will appear in Frontierland instead. 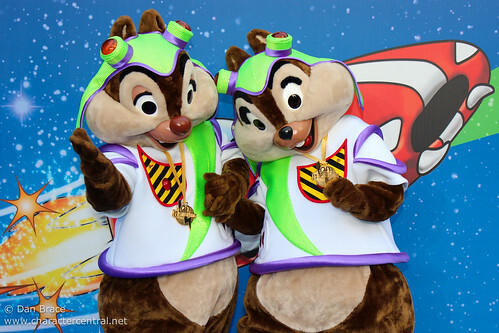 This will leave Stitch and Buzz in Tomorrowland. Overall this means we are gaining Gaston to the regualr character line-up at the Magic Kingdom. 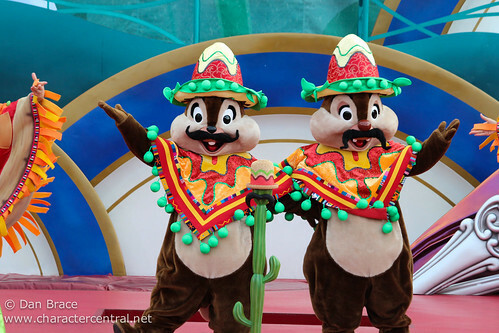 For Mickey's Not So Scary in the Magic Kingdom, Panchito on our forum reported that Phineas and Ferb may appear in Town Square. 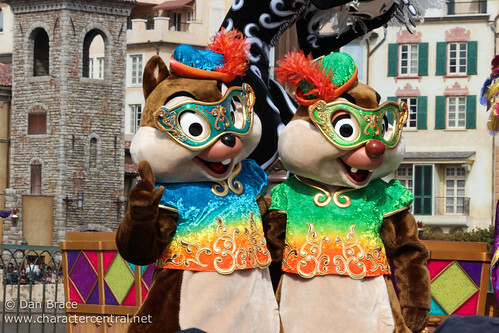 Their addition could mean the loss of Rafiki and Timon in Adventureland. 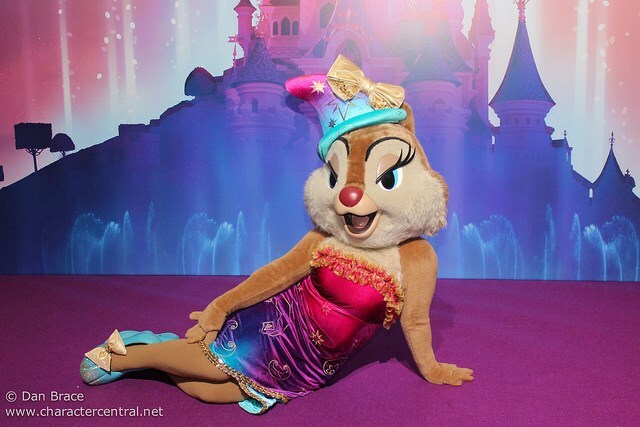 At Disney's Hollywood Studios, Agent P is now strongly rumoured to start appearing in the Fall. If we hear more we'll report it! 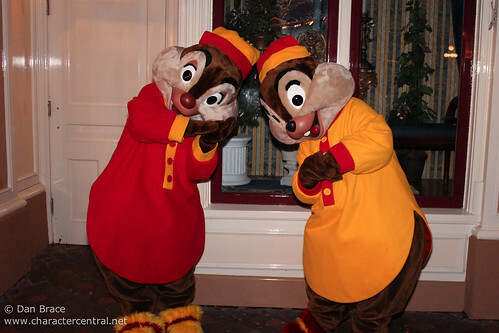 Over at Disneyland Paris, you may recall that I had mentioned a while ago that Duffy had been sidelined in favour of more popular characters during quieter hours. Well, now it appears that he has been taken off the times guides altogether. The new one for this week completes omits his location on Main Street. We still hear he will be around for Halloween Season though in a special costume. Also at DLP, a while ago I had heard that the Cowboy Cookout was returning to a regular restaurant from the start of November. User Frollo on our Forum now reports that he has heard this will be from the start of October. So, say goodbye to the the most peculiar tea party in the Wild West! (For those of you who aren't aware, Cowboy Cookout was an amazing counter service restaurant at DLP in Frontierland. 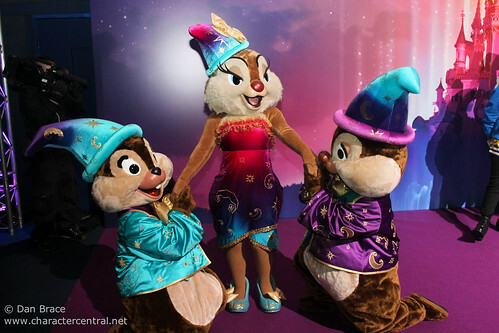 About 3 years ago they stopped the regualr operation of the venue and added a "Tea Party with Disney Characters". A tea party with Woody, Jessie and the VIPs in their Western gear, in Frontierland. It was a n odd concept, but one which was very well received, reasonably priced, and offered good food). 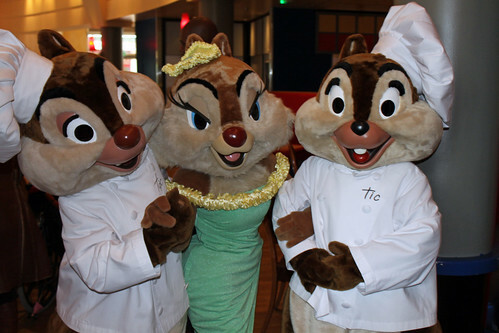 I actually look forward to it returning as a counter service restaurant, despite being a huge character fan. It is more fitting that such a grand restaurant fulfil it's true potential. That isn't all this week's news - check my post from two days ago, too, for some other relevant things! Ok, I think that's all for now. Please remember that everything is rumour or speculation until confirmed by Disney. We try to be as accurate as possible, but s with everything, things can change! 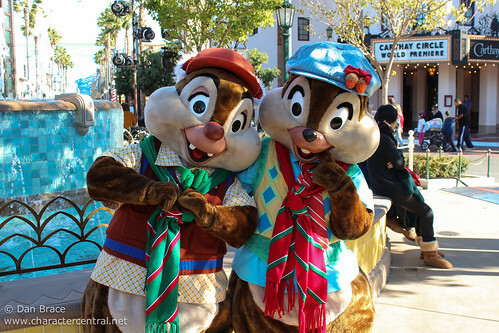 Today is the 69th birthday of the most loveable, troublesome twosome, Chip and Dale! First featuring in the animated short, Private Pluto on April 2nd 1943, they have continued to annoy poor Pluto and the perpetually harassed Donald Duck ever since! With a long and varied career, they are among our most favourite characters, and we have had many fun experiences with them over the years. Today is the 10th of December, and so it is time to open the tenth door on our Character Central Advent Calendar!